Buyers still looking to make the move! Even with the recent increase in interest rates and winter weather conditions, home buyers in the Stockton and San Joaquin County area are still very active. 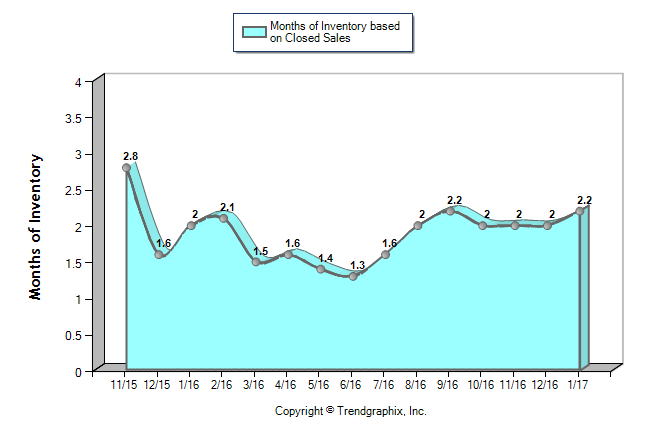 The January trends show that the number of pending sales increased from November and December, while the inventory of homes on the market declined. 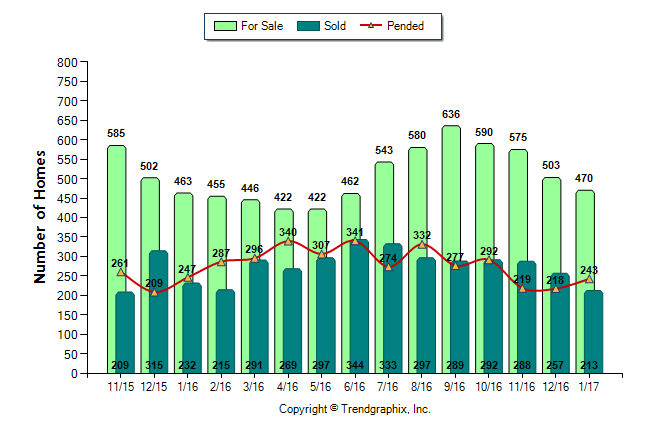 The amount of housing inventory in Stockton CA continues to be the driving force behind this real estate market. Take a look at this chart below. It represents the the amount of time it would take to sell all of Stockton's housing inventory. As of January 2017, it would only take 2.2 months. In a normal market, housing levels should be in the 3-6 month range. Thus, giving us a sellers market.